The Hamel has a modern wrap-around design that flawlessly combines function and fashion. 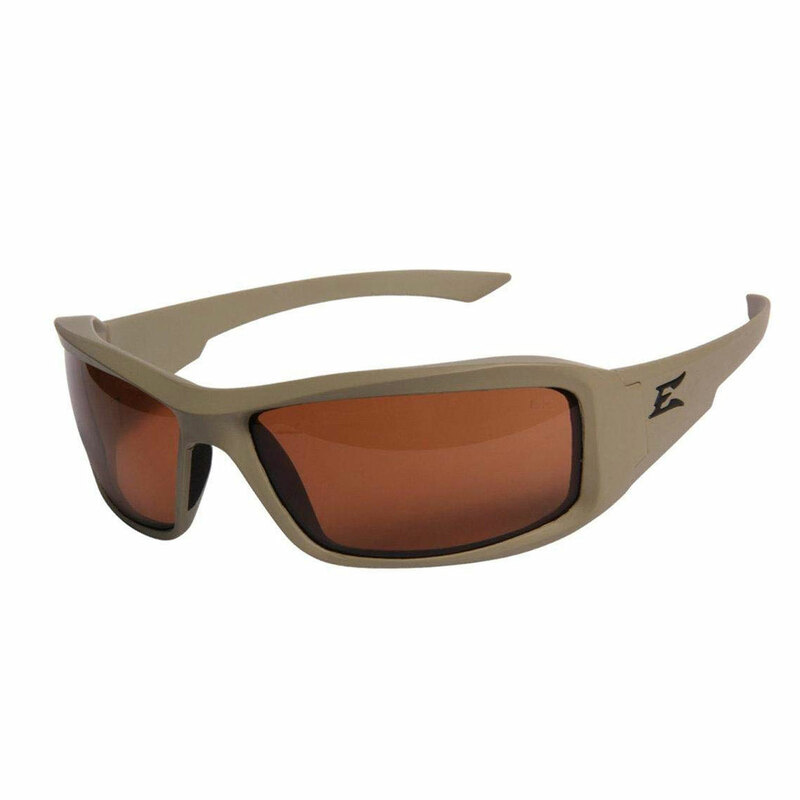 This stylish eye pro looks great with BDUs or casual attire, while its ballistic rating makes it a perfect choice for the most unpredictable circumstances. Its flexible and durable rubberized matte frame has foam nose pads that make the glasses easy to wear all day. A sleek brow guard blocks light from above and recessed lens cavities prevent airflow from drying out the eyes. Thin temples provide comfort and functionality when worn with a helmet or ear pro and keep a sealed fit with noise reduction headsets. Clear lenses are the classic option for safety. With pristine clarity, they are an excellent choice for indoor and low light conditions. The addition of Vapor Shield "military grade" anti-fog technology keeps these lenses completely resistant to fog, even in extreme environments. 85% of visible light passes through this lens color. Edge Tactical Eyewear glasses are tested in independent laboratories to ensure their compliance with ANSI Z87.1+2015, Military Ballistic MCEPS GL-PD 10-12, and EN166 F CE standards. All Edge lenses block 99.9% of UVA, UVB, and UVC radiation and are coated to reduce scratching.